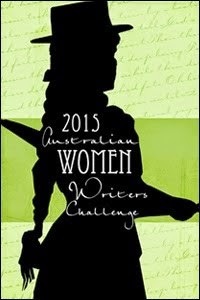 I enjoyed completing the Australian Women Writers Challenge last year so am officially signing up for the 2015 Australian Women Writers Challenge. I'll be committing to the Franklin level to read 10 books by Australian women and to review at least 6 of them. The challenge is open now and closes on 31 December 2015 so comment below if you want to join me or find out more. You can follow @auswomenwriters on Twitter and use the tag #aww2015 to follow along. Glad you're joining up again in 2015, Tracey. Looking forward to seeing what books you choose to review. Thanks Elizabeth me too. I'm hoping that one of them will be Kate Morton's new book, fingers crossed! Thanks, are you participating too?